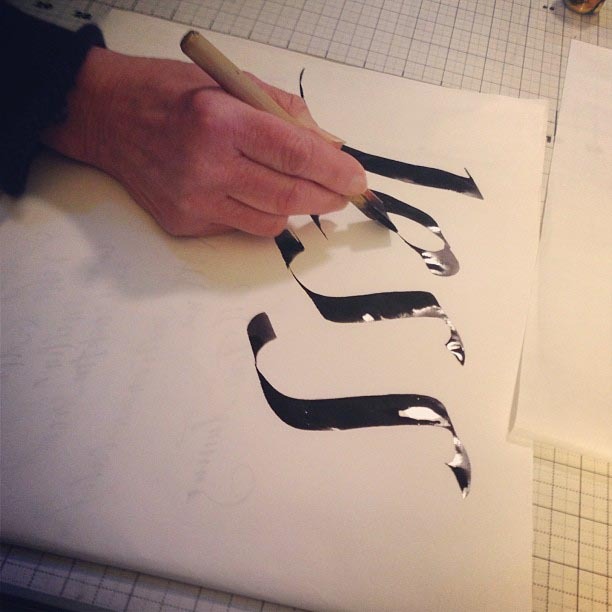 In this podcast, we meet Pam Galvani, a calligraphy artist with 39 years of experience who is offering an introductory 4-hour workshop to give you a taste of the joys of calligraphy. No prior experience is necessary to enjoy creating in this ancient art form. This learning opportunity is part of our Art Museum’s series of twice monthly Saturday workshops — in this case, a 4-hour class that starts at 1pm on Saturday June 18th. You can register and pay online here. As explained on this podcast by Art Museum Education Director Kristin Tollefson, this is the latest in the series of Art Museum workshops and classes that introduce methods and practices of art forms that often reflect what’s being exhibited in the museum. 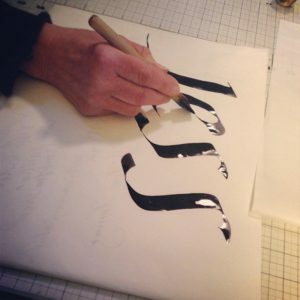 For this introductory class, Pam Galvani will supply the pens and materials and show you the basics of italic letterform. That lettering technique was first used in 15th century Italy and now underlies a very elegant form of our contemporary cursive handwriting style. For those of you who have recently invested in an Apple Pencil and iPad Pro screen for lettering and drawing, here’s an opportunity to shift gears, slow down, and experience pen and ink on fine paper. In this interview, Pam shares the humorous story of her discovery of calligraphy as a passion, 39 years ago. She was a new mom and needed an away-from-home activity during the hours her babysitter was available. 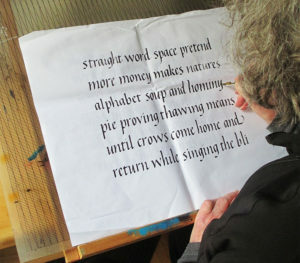 The answer, to her great delight, was a calligraphy class. And the rest is history. Have a listen to Pam’s gentle and insightful description of the experience of pen and ink calligraphy that she finds such a satisfying experience. Also meet Heather Griffin, the Museum’s Education Associate.